Look at what I saw today. 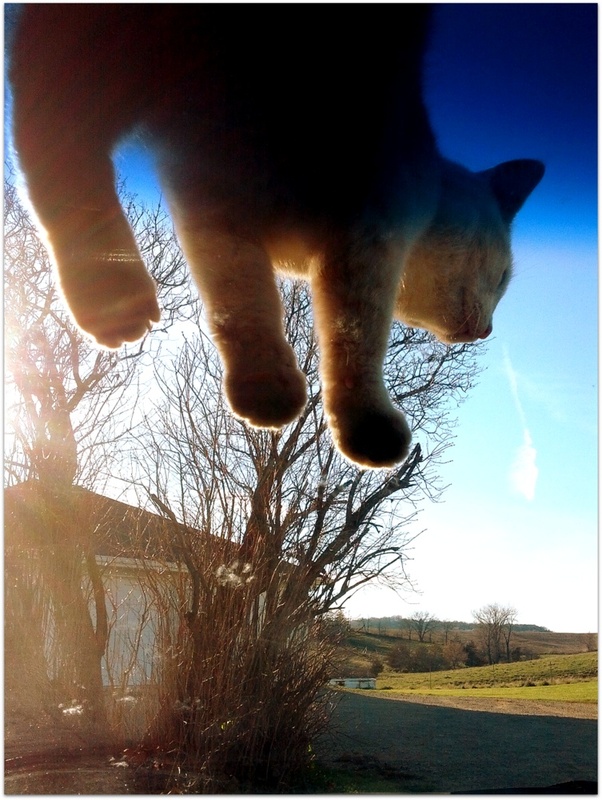 A flying cat! Okay, here’s what really happened. As I was preparing to leave work today the owners kitty jumped on top of my car and made his way to the front hood, via the windshield. Of course I pulled out my phone to capture it. Such a sweet kitty he is. What will I encounter next?